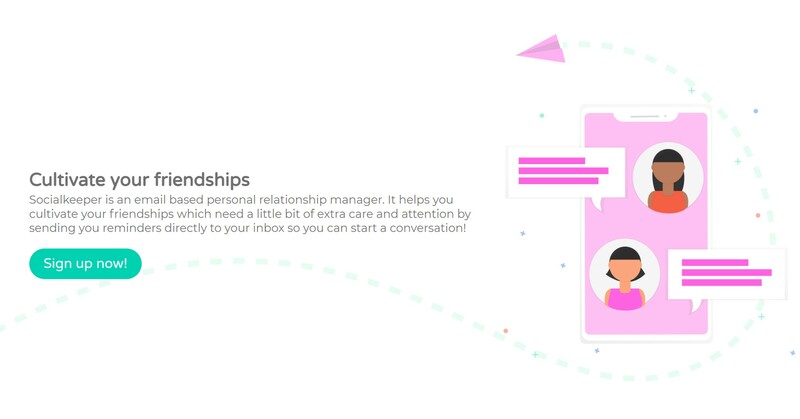 An email based personal relationship manager. Socialkeeper is an email based personal relationship manager. It helps you cultivate your friendships which need a little bit of extra care and attention by sending you reminders directly to your inbox so you can start a conversation.